We are pleased to announce our fall Etsy: Made in Canada market is back with another 100+ local Etsy sellers to shop from. Enjoy a day’s worth of shopping as part of this cross-Canada event. Take a break with some great food from one of our food trucks, too! Find more info on our Official Facebook event listing! We are pleased to announce a Spring version of our Etsy: Made in Canada market! On Sunday, May 6th from 10am to 5pm, come find our incredible vendors at the Ross Glen Hall at Mount Royal University. More details will be announced soon and you can follow along on our official Facebook Event page. FRIDAY tickets will go on sale soon! Tickets cost $8.00 and must be purchased in advance. Limited quantity available. SATURDAY is open to the general public. Admission is $5.00 at the door per person (cash only). Children 12 and under are free. Vendor applications open on May 1st, 2017 and close on May 31st, 2017. A full list of vendors will be available soon after. More details inlcuding volunteer opportunities will be coming soon! Etsy: Made in Canada is a national grassroots initiative celebrating the crafters, collectors and artisans in local communities across Canada. Etsy artisans will sell their handmade wares and vintage goods to local buyers at these markets, each of which will represent the spirit of the local community. Branding can be an elusive unicorn. Own It is a workshop that will allow you to create and implement a strong brand. We will work our way through individually-based exercises as we hone in on branding your business for success. Concentrating on consistency and positioning, Own It attendees will grow capacity to engage their community in brand recognition and loyalty. Walk away feeling inspired and equipped with skills to establish and evolve your unique brand. Find out more and get your ticket over on Eventbrite! 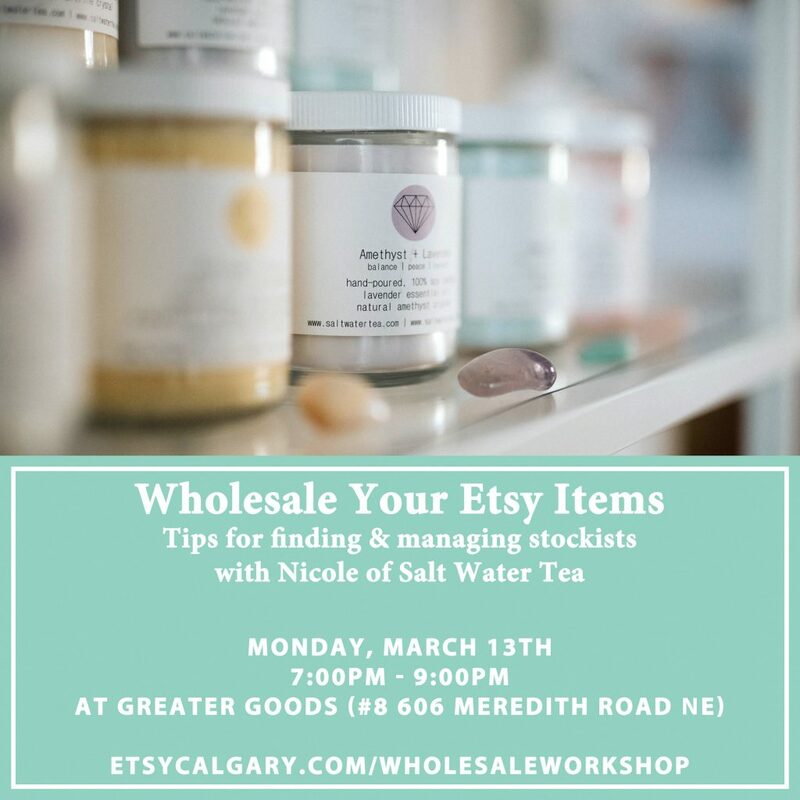 In this workshop, we’ll explore the fundamentals of wholesaling your handmade products to retailers with Nicole Bracey, a long-time Etsy seller and store-front owner. Covering the basics of brand identity, regulations, packagaing and shipping, you’ll also learn the ins and outs of linesheets, order forms, and invoices. You’ll also learn how to determine your wholesale & retail prices, the “golden rule” of wholesale pricing, setting minimum order quantities, and when to start charging GST. Bringing your Etsy shop from an online store front to a real-world market can be tricky business, but we’re here to help you navigate the ins and outs of getting in touch with your local customer base. Join Jillian Logee for tips on how to apply for markets, tips on finding the right markets for your business, stocking your table or booth, how to build an effective display, and much more. Jillian is a professional photographer with 10 years of experience in the market scene. From her early days at local art markets to now being the co-organizer of one of the biggest markets in Calgary, Jillian has seen both sides of the market-life coin. Tickets available over on Eventbrite. 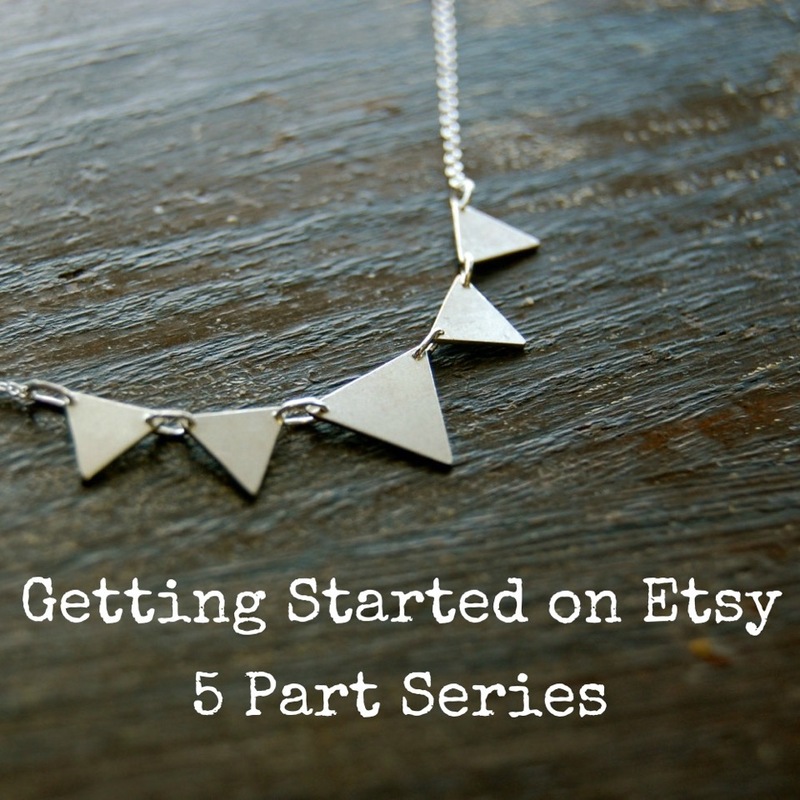 Are you needing a little more help setting up your Etsy shop? Drop by for Work it Wednesday with the Team Etsy Calgary leaders and work alongside your peers to get your shop up-and-running or even just give it a tune up. This drop-in session will give you an opportunity to ask questions, get tips, all while enjoying the fabulous atmosphere of Rosso Coffee Roasters. We’re here to help! The tickets to this event are free, but please show your support for Rosso Coffee Roasters by purchasing a drink or a snack. Since space is limited, please only grab a ticket if you are sure you will be able to attend. If you’ve bought a ticket and can no longer make it, please send us an email at etsycalgary@gmail.com so we can open up your ticket to someone else. Let’s get those shops polished! Grab your ticket over on Eventbrite. We’ve written our list and checked it twice! We are extremely excited about the vendor lineup for the One-Stop Christmas Shop at Golden Acre Garden Sentre. There are 34 outstanding handmade and vintage sellers offering a little something for everyone, letting you finish off your Christmas shopping quickly and easily! Want do to some pre-shopping? Check out our complete list of vendors here. Be sure to click through to their Etsy Shops, since many of our vendors do offer custom orders. You can pre-order your items and pick them up at the market on November 27th. While you’re there, be sure to check out the beautiful ornaments and holiday décor from Golden Acre Garden Sentre. It’s one of the best collections of holiday and Christmas décor we’ve ever seen. They’ll also have their live tree lot open, so be sure to at least head in and breathe in the wonderful smell of Christmas trees. Feeling Hungry? Come to Etsy: Made in Canada! Do you love great handmade & vintage items, but also love a good snack? 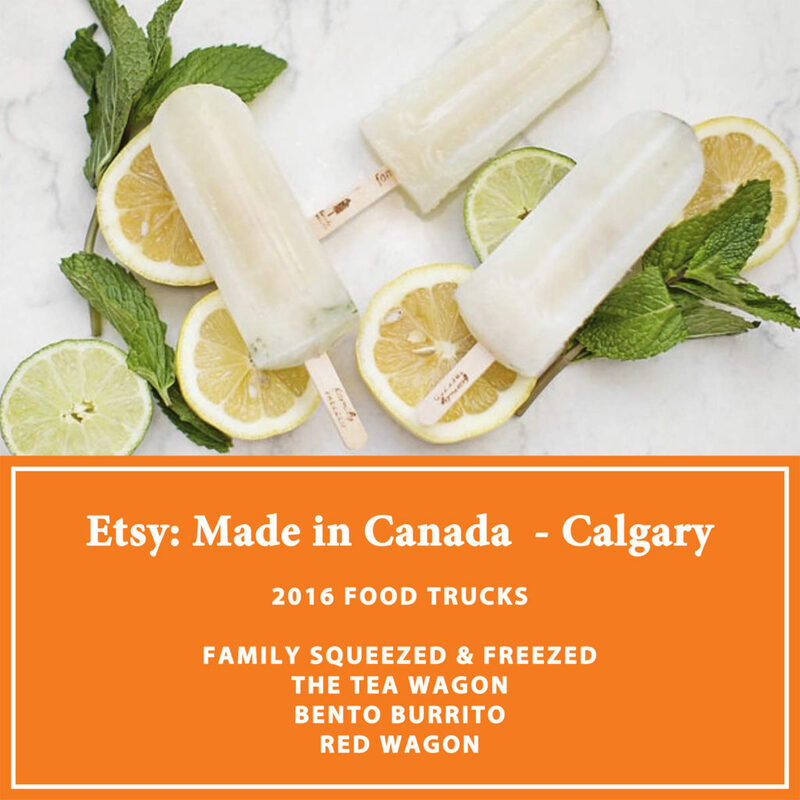 Be sure to check out our great lineup of food trucks coming to Etsy: Made in Canada – Calgary. We’ll have these fabulous trucks on Friday’s Sneak Peek Night (get your tickets here! ), as well as all day Saturday when the market opens to the general public. Want to pre-plan your meals? Check out our food trucks’ websites for their menus! 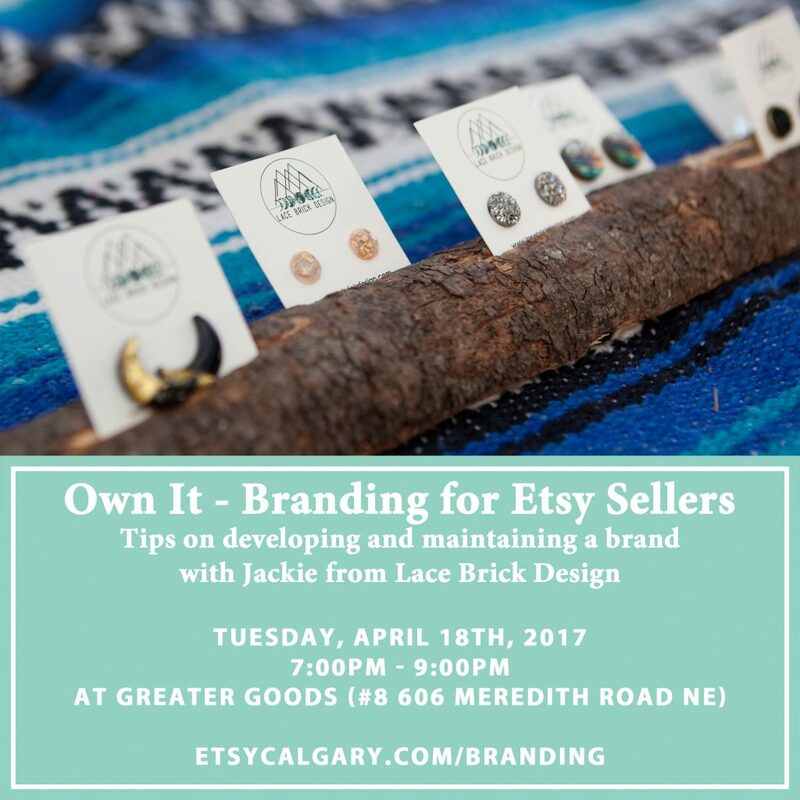 Workshop: Logos & Graphic Design for Etsy Sellers – Tickets Available Now! Great companies have great logos, but graphic design can be a tricky thing to navigate without any formal training. Thankfully, extraordinary graphic designer Becky Warren is here to help! In this session, participants will learn some of the hallmarks of designing logos, as well as how to use graphic design to support your brand, through business cards, websites, and social media platforms. This will be an invaluable lesson on how to build a professional looking brand that suits you and your product! To get the most of this presentation, start your shop prior to the workshop! Visit Etsy’s Promotions micro site and enter the code MakerCities and you will receive 20 free listings when your Etsy shop is opened. Your shop must be new to redeem this code. Don’t worry about making your shop perfect – you can keep your store in “Draft” mode until the workshop. All you need is your shop name picked out to redeem the promo code! Get your tickets over on Eventbrite!